Teeth need regular care to stay healthy. That's why our Las Colinas dentists recommend brushing twice a day, flossing at least once, and rinsing with a quality mouthwash. As effective as this routine is, though, some teeth are more difficult to clean than others. Children in particular can have trouble cleaning back teeth, especially if they've just learned to brush. That's why, at 21st Century Dental in Las Colinas, our doctors offer a preventive service like dental sealants. With dental sealants, we can provide thorough protection for hard-to-reach teeth, or teeth with deep pits and grooves. In areas like these, it's easy for bacteria or food particles to collect, putting you at an increased risk for a cavity or gum disease. Why Choose 21st Century Dental for Dental Sealants? An appointment for dental sealants starts with an oral exam at our Las Colinas dental office. Our doctor will use this exam to understand what your needs are and to identify which teeth we need to apply sealants to. The teeth we'll be paying particular attention to are the molars and pre-molars in children. The chewing surfaces of these teeth are particularly vulnerable. The American Dental Association has recognized that sealants are an effective preventive measure that dentists can provide for children and adults. If we find a tooth that needs protection, we'll treat any decay first with a filling. 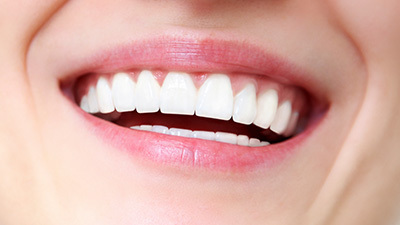 Then, when the tooth is ready, a cleaning and etching solution will be used to prepare teeth. Seconds afterwards, the tooth will be dried off and the sealant will be applied. 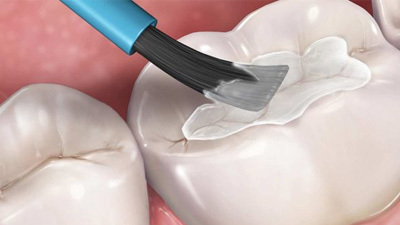 Dental sealants are applied as a liquid and then hardened until the liquid becomes a thin layer of plastic. The entire process is fast, easy, and comfortable. Depending on how many teeth we need to protect, applying dental sealants can take between 10 to 45 minutes to complete. Dental sealants don't require any special care outside of the care you would give your teeth. Continue to brush and floss as you normally would. Meanwhile, your smile will enjoy extra protection for years to come. How long, exactly? It can be hard to predict a precise time, but on average our Las Colinas, Las Colinas, and Dallas patients can expect their sealants to last between 5 to 10 years.